Last week we covered a very generous offer for anyone with their own SME. Amazon offered HFP readers a 50% discount on their next order (maximum discount £50) when they created a free Amazon Business account. See here if you missed it. There were some delays getting the 50% discount codes out, but most who signed up on the first day should have had their codes yesterday. If you didn’t, please wait another couple of days – I will do a tidy up next week. Look in your spam folder though as a large percentage seem to have ended up there. If you didn’t sign up last week, you can register your company by following the instructions in this article. You ONLY qualify for the code if you use our sign-up link. PS. Using ‘pay by invoice’ means you cannot use the 50% discount code, as per the terms and conditions. You need to add a credit card and then wait 48 hours. The code should then work against any qualifying order which is charged to the card. The cheapest – and best value – 2,000 Avios package is sold out but the rest are still available. Whilst these deals were administratively messy when they first appeared, I haven’t heard any reader complaints for a while. The IT seems to be working now. Of course, all of the information is in Spanish but Chrome can translate the page for you. You can buy a LOT of points. The limit is 5 coupons per Iberia account for the 4,000, 20,000 and 35,000 Avios packages and 10 per account for the 8,000 and 15,000 Avios packages. These Avios can be transferred across to British Airways via ‘Combine My Avios’ without any problems once the Iberia account is 90 days old. Accor, owner of Novotel, Ibis, Sofitel, Mercure etc, has been on a massive spending spree in the last couple of years. Some of the investments made sense, eg Raffles, Swissotel and Fairmont hotels. Others in more tangential spaces such as home rentals were more questionable, to put it mildly, and the company has already started writing some of them down in its accounts. The latest investment seems sounder. On Tuesday, Accor confirmed that it has completed the acquisition of 50% of SBE Entertainment for $319m. Full details are here. Hopefully it won’t be too long before these are folded into Le Club AccorHotels. It is only a shame that Accor’s revenue based redemption model means that there won’t be any bargains at SBE’s notable South Beach hotels in Miami. to plat I suppose. Thanks! OT Does anyone know what the deal is with churning the IHG Creation card? Is it possible to get the sign up bonus again? I don’t think anybody really knows yet so if you are going to try best leave at least a year. I’m travelling solo and am thinking Kowloon but no real plan except to see about the place, enjoy some food etc. Not sure about current hotels but Kowloon is easily the best choice in your situation, I lived there for 3 months and it’s perfect/ central (more central than Central!) for getting to all the bits you’ll want to see & very lively. I agree with Harry. I like Kowloon best too, the vibe in the streets it better there and various markets all within a half days walking distance. Second day you can go over to Central. Would strongly recommend taking the public bus from Airport to Kowloon, get front seat upstairs. I forget the route number but I am sure somebody will add. I like to ride the bus to Aberdeen and NT but in time you have got best focus on main attractions. Don’t forget to find a good vantage point for the light show in evening. Ooh I prefer the island, wherever you go see if you can get a late checkout. It’s gauranteed with Amex Plat FHR and free breakfast with other credits can stack up, especially on a one nighter. Cheapest FHR is The Langham, £200 p/night with 4pm guaranteed check out, US $100 f&b credit and the usual upgrade if available. Not a bad deal but I don’t know that hotel. Thank you Darren, I really appreciate you taking the time out to check this for me. Darren’s suggestion is good if you have more time in HK and want to spend time in hotel. However, I got the impression you wanted to see HK on your stay. If so then the late check out and hotel meals is more of a hindrance than a help so little point paying over the odds for it either even though rate is good. If you are really just looking for a bed for the night then best just get a tourist hotel in my opinion and money saved will cover rest of your HK break. For HK the “in town check-in” is a wonderful thing. If you buy an Airport Express ticket you can dump bags at Central or Kowloon stations any time on day of departure and they go through to HKG and onto your flight. You then go through airport HBO and are no longer tied to a hotel and can spend the day doing what you feel like. We prefer HK Island to Kowloon but both have merits. Have stayed at Harbour Grand on the Island which is great value and only 20 mins from Central by MTR or Ritz Carlton which is undeniably expensive but a great location. Gins at Ozone one of the best things we have ever done. To add to Stu’s comment. You can combine the use of Airport Express for your return journey and still have the arrival experience of taking the public double decker bus from the airport into town. When you enter arrivals hall at the airport you will see a big circular information desk. with several counters. Go there and they will set you up with an Octopus card(like Oyster) and you can have your airport express for return journey loaded on it. Then just follow signs to bus station. If you need to top up the Octous you can do that easily in a 7elevem store. Ihg indigo in Wan Chi was a good shout I found. 25k points and upgraded to a corner room with a view towards the peak. Quite a cool rooftop swimming pool and bar also. Thanks Ben, but unfortunately I don’t have any IHG points/status. O/T How does the Virgin Atlantic credit card 2 for 1 voucher show in your Virgin Atlantic account? I passed the £10k mark a couple of weeks ago and the statement has rolled over. The points are showing in my account for my last statement but I can’t see a voucher? It doesn’t. There’ll be a line in your statement about “reward qualification” or something (forget the exact words) but no other evidence in your CC account, VA account, or by mail. Nothing. To use it you have to phone. Make your note of when you got it because it’s up to you to track the expiration. It’s not a user friendly way of doing things. OT- Had a new Amex Gold CC for a week now and want to add a supplementary card for my OH. Had been advised not to do it on application but when can I add her and get the additional points – straight away? Also, can someone explain what a complimentary card is and how I add one of those at some stage for the spend bonus. You can apply now your card is up and running, I think it’s hit and miss as to whether you will get extra points for the supplementary card. I have no idea what the complimentary card is, unless it’s the same as having your first supplementary card free of charge. I’m not aware of spend bonus on it but have only applied for them and not really spent on them! Thanks – think I might have meant ‘companion card’ – for which I thought I had seen something about a bonus – or is that referring to the older charge card?? I think the companion card is only for the older gold charge card, as it was a credit card? I think you can still get a companion card for the plat, as it is still a charge card. OT Lloyd’s Amex. Not received a letter yet about cancellation of my card. I only took it out around Feb/March before they were withdraw . Noticed I’m still getting double Avios so my current card of choice. Any idea when that’s supposed to run out? I had thought first 3 months only but guess I was wrong. Are you thinking of Expertflyer? Some of the detail is paid-for/ subscription. If it’s a BA flight you can ask on the EC261 compo thread on Flyertalk, they’re pretty helpful. How far ahead is the cancelled flight? 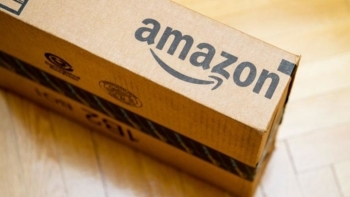 Does buying through Amazon Business rather than consumer mean losing out on Distance Selling protection? Or are Amazon still offering a reasonably generous policy? Can’t see the answer on their site. Hi there, firstly, I want to start by saying I love your website and visit it every day. Your tips and advice are so really good and bring great benefits to your readers. Honestly, regarding timescale and such, this offer is always a bit random. Mine have also not yet arrived. I’d say just wait a while. I don’t know how they manage to always make it so bad but… it is what it is.